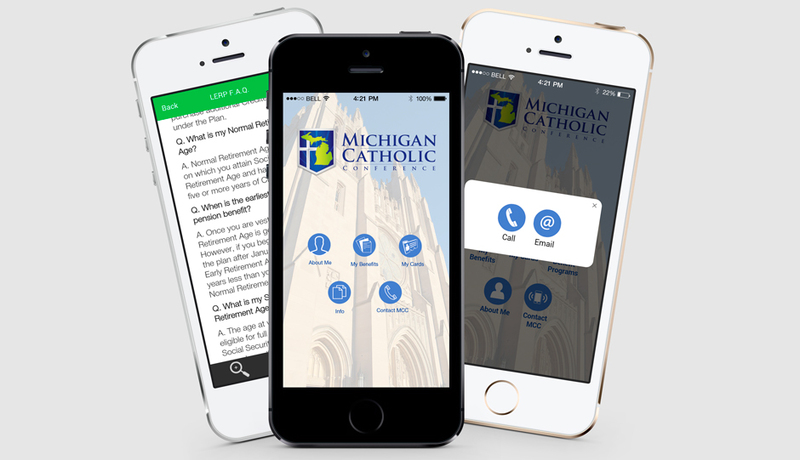 The Michigan Catholic Conference (MCC) serves as the official voice of the Catholic Church in Michigan on matters of public policy. 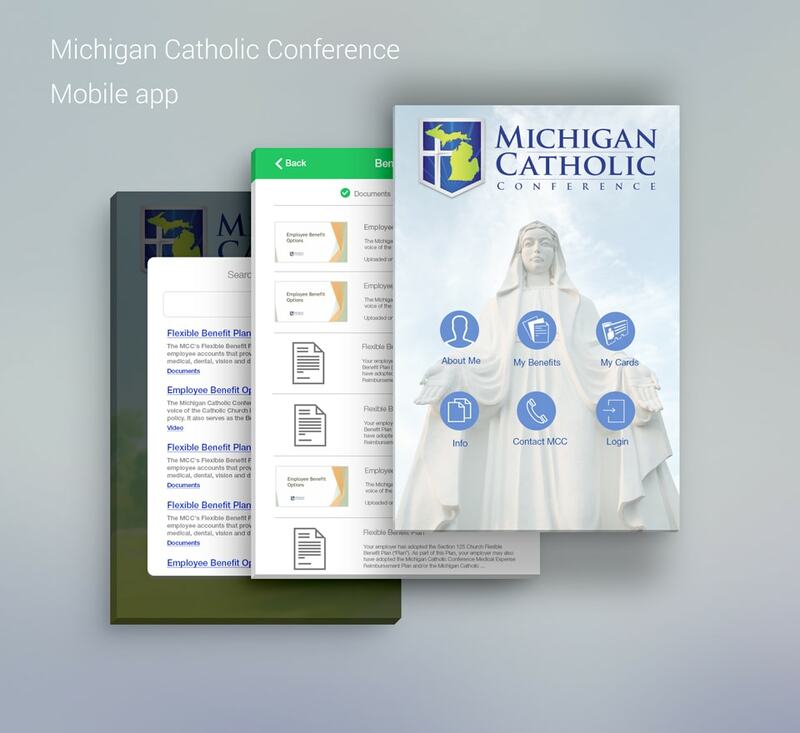 In addition, the Michigan Catholic Conference develops, coordinates, and manages programs that provide retirement benefits, health, dental, disability, and life insurance coverage for lay employees and clergy, as well as property and casualty coverage for the Church throughout Michigan. The app’s main function is to provide documentation of frequently asked questions, and access to benefits information including medical and prescription e-cards. It also includes educational “how to” videos (stored externally), keyword search, user profile data, simple “share” function, contact us and Flurry analytics integration. Intersog started the project with a comprehensive project management approach utilizing MSProject for project planning and milestone tracking, SVN for version control and Hudson-CI for continuous integration. Each night the builds were compiled for the entire project and any discrepancies were managed with alerts being sent to the assigned parties. Real-time tracking of requirements and milestone progress was done using Redmine, which allowed MCC project managers to get an instant view into the state of issues and bugs as they are being worked on by developers. Having created a project plan and task list for the project, Intersog built an interactive prototype for validation and adjustments. This was a starting point to discuss MCC product and derive feedback on the navigation and workflow elements. We collaborated with the product owners to get the UI components solidified. Then we added design to that wireframe which resulted in producing a key deliverable and the Project Scope document. For the creation of prototypes and interfaces, our UI designers and analysts used Axure Pro, Omni Graffle, MS Visio and several internet services such as iPlotz and iRize. After the hybrid app was delivered to and approved by the Client, Intersog created a separate service agreement to include the number of hours that will be deferred for support activities and provide the hourly rate for the work over this predefined amount. Intersog dedicated a technical team to be available to react to and resolve any technical problems and difficulties immediately during work hours. This technical team is available to solve problems during off-hours as well, typically within 3-4 hours. Today, Intersog keeps implementing change requests, updating, maintaining and supporting the client’s application.